North Adelaide has a thriving food and wine culture, with a diverse range of restaurants, cafes, pubs, bars and fine wine merchants that will satisfy the most discerning eaters and drinkers. It has a deserving reputation as one of Adelaide’s food, wine and entertainment hubs and if you come for a meal or a night out, you’ll soon discover why. In the Melbourne Street and O’Connell Street quarters you can get a meal from cuisines from all corners of the globe. Whether you’re craving food from the Subcontinent, the shores of the Mediterranean, South East Asia, North, South or Central America, or from Australia’s own Outback, North Adelaide has your tastes covered. And you’ll be able to find the ideal drink to match your meal without ever straying from the Precinct. Two of life’s staples are wine and coffee, and during a stroll down either of North Adelaide’s two main streets you’ll discover some of the finest wine, coffee and food that Adelaide has to offer. The perfect way to sample what is on offer is to come along to the Precinct’s StreetEAT in North Adelaide and LastFRIDAY in North Adelaide experiences. 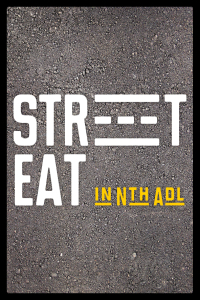 StreetEAT in North Adelaide – Timed to coincide with major events at the Adelaide Oval, StreetEAT will showcase the gourmet delights on offer in O’Connell and Melbourne Streets. Take a walk along either street and sample some of the bite-sized delights from over 40 of North Adelaide’s restaurants, cafes and traders. Or make use of one of our Sponsor’s Eco-Caddies and visit both streets before heading to the Oval. LastFRIDAY in North Adelaide – As the name suggests, on the last Friday of every month in 2015, traders, artists and performers will be collaborating to create a vibrant, exciting and engaging food, fashion and arts trail across North Adelaide. 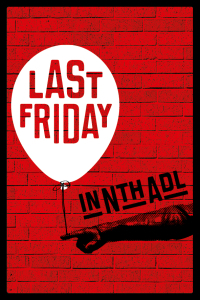 Bring your family and friends to watch a performance, sample the culinary delights and listen to some of Adelaide’s best musicians while exploring the thriving commercial precincts of North Adelaide.